Open House Thessaloniki is a fantastic way for locals and visitors to discover the city. On November 24th and 25th, over 100 buildings and spaces, both public and private, will open their doors for tours. The initiative is part of Open House Worldwide, s a beautifully simple idea: interesting spaces open their doors, so that people may explore their own city with fresh curiosity and enthusiasm. London’s was the first, starting already in 1992, followed by New York a decade later, then Dublin, Tel Aviv, Melboune, Helsinki, and others. In its third decade, Open House really took off. 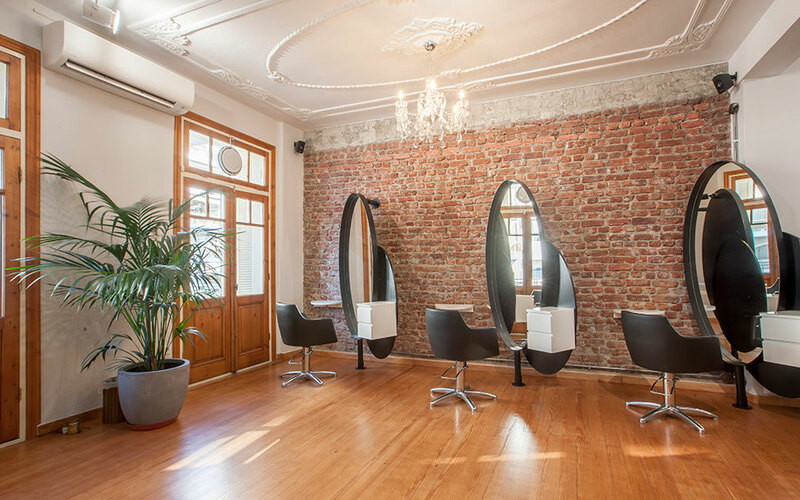 Over 40 cities worldwide have embraced the concept, now including Thessaloniki and Athens. The sites are all viewed on organized tours, offered on a first come, first served basis; with structures all over town, making the most of it requires some strategizing- consult the program and plan your deal route in advance, and include some alternatives- you may arrive at a site to find a long line and decide to skip it in favor of something else to keep on schedule. Dress comfortably, and be prepared for special requirements that each space may have, such as no shoes or no photos. Some require personal identification. 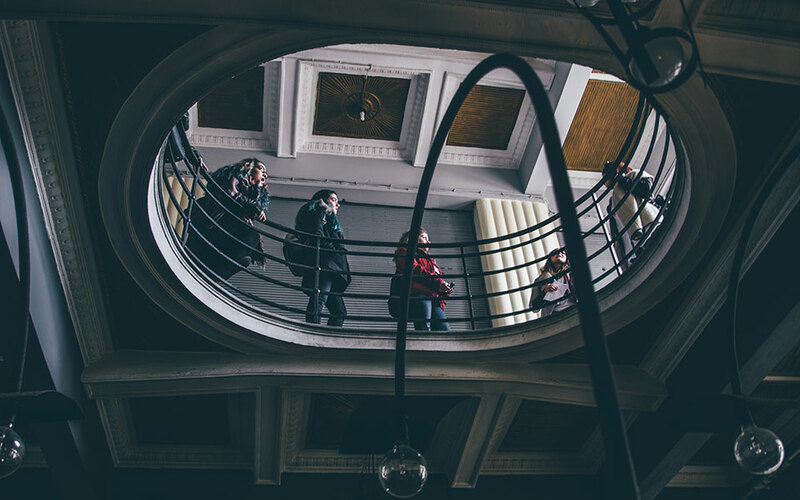 The history of the spaces and the architectural and design details that make them special are all revealed by well-informed and enthusiastic volunteer guides. What is unique about Open House is that not only public spaces are on show, but people generously open up their private homes. Some of these homes have been creatively reimagined, others represent an interest in reviving period style, and still others are simply what they always have been. 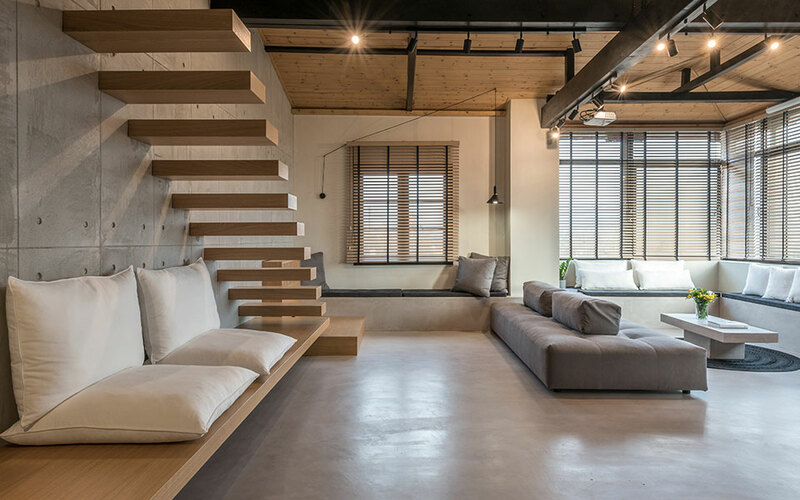 This year, a loft in an industrial building and an apartment in the Ladadika district are examples of imaginative spaces. 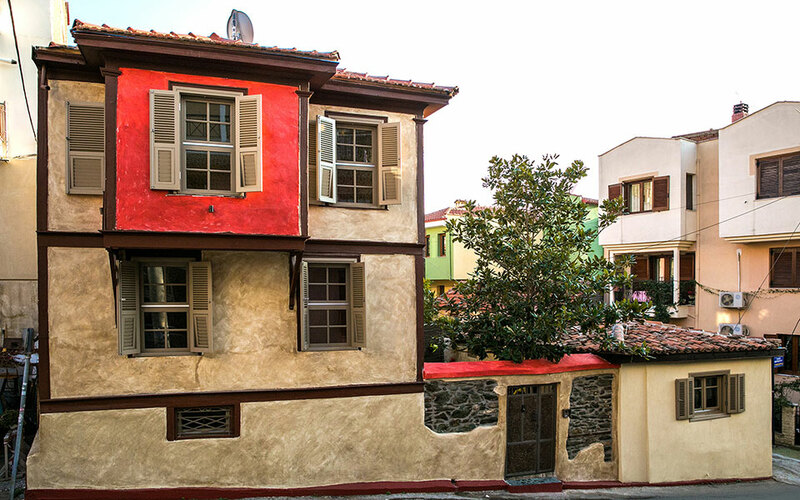 An authentic Ottoman house of 1885 in Ano Poli, as well as a modern Ano Poli house that is done in a historic style to integrate into the environment, share Thessaloniki’s traditional vernacular architecture. At a 1930’s apartment in Agiou Dimitriou Street, the early modernist past is revived, in a restoration of period mood and detail. There will also be tours of one of the homes of Jacques Moshe’s enchanting 1928 Ouziel Complex. Another interesting, but sometimes overlooked, period in Thessaloniki’s architecture is represented in a beautiful home of 1962, on the shores of Kalamaria. 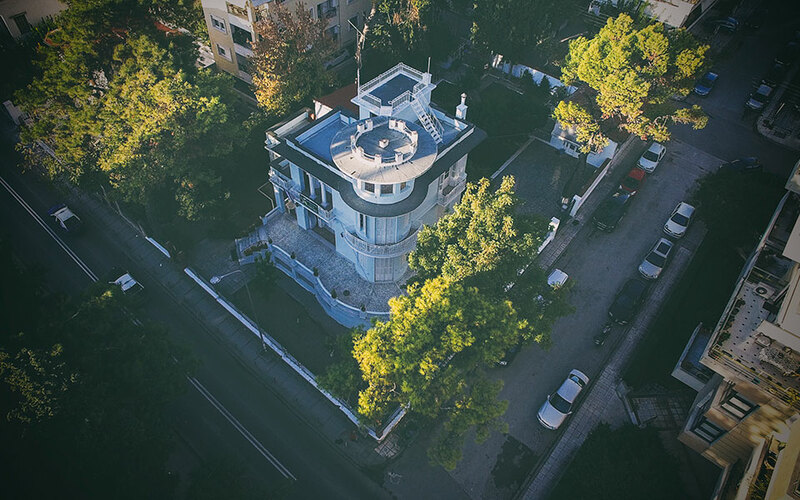 Open House also includes many of Thessaloniki most defining buildings – the elegant commercial and residential structures and houses of worship by architects of the years before WWI. The many buildings by Vitaliano Poselli, including the Geni Tzami, the Stoa Malakopi, the Amenian Church, the Catholic Church, the Army Headquarters, show the breadth of his style. 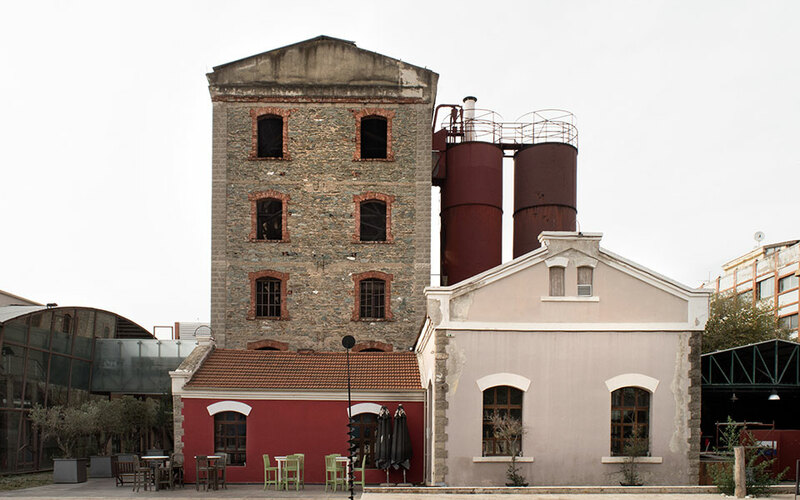 Buildings by Eli Modiano, Xenophon Paionidis, and Piero Arrigoni are also included. 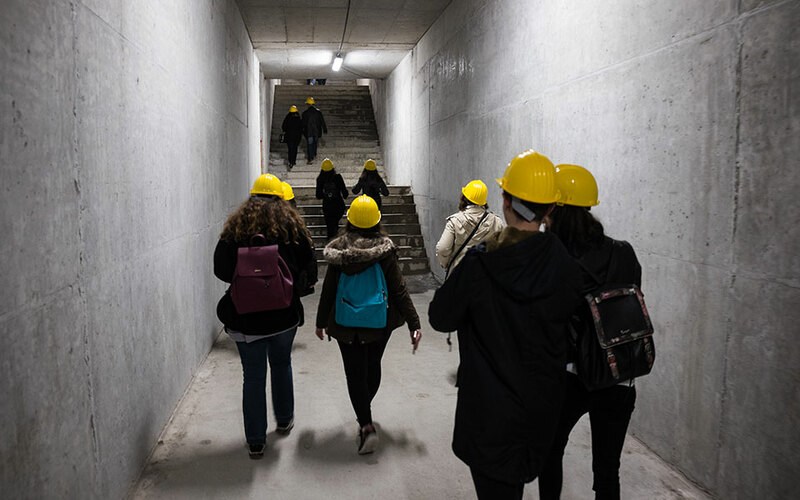 And, there’s a taste of future Thessaloniki: this is a special opportunity to see a still under construction metro station. With Open Bike, this year participants can cover a lot more territory. Rent a bike for just 10€(reserve yours by emailing Andreas Batsilas at openhousethessaloniki@gmail.com, or call (+30) 697.848.0925), and receive recommended routes as well as Open House souvenirs. If you have a really great tour, you can show your appreciation by voting to highlight the team of volunteers and the space. Starting Nov. 24, you’ll find the Kleeman Open Vote here. Walking around town, maps in hand, feels a lot like a treasure hunt. Apart from discovering the architectural treasures, there is an actual treasure hunt, too. Sponsored by Area Domus, rechargeable table lamps by Kartell are placed in 10 of the buildings. Spot them, upload imaginative images of them, and you might win some of the design object prizes. Go here for details. Another contest, running from Nov. 23 through Dec. 2, is Open Photo. This year’s theme is “the importance of lighting in a building”. Those who capture the theme in the most original ways and upload their images may win prizes from Fujifilm. The event is sponsored by Alumil. Go here for details.